I’ve often wondered when people started shouting the extra “UPS AND DOWNS” during Marching on Together. I don’t recall it as a child, though I was cheerfully oblivious to most of the world as a youth, wide-eyed with wonder at a full Elland Road and perhaps ill-placed to ponder the nuanced tweaks to our club anthem. But I’d reflected on this during a long and sad drive home after the Norwich game – when did we start doing it? I’d started to wonder if that single three-word adaptation (irrespective of when it began) is the most Leeds thing in the world. I’d watched the Sheffield United game prior to the International break on TV (due to other pressures on my time) and had again found a real sense of identity in those three words. Poised to take our first real tilt at promotion by the scruff of the neck, we had instead come to lament our inability to finish a plethora of presented chances only to self-destruct through poor concentration and individual error. 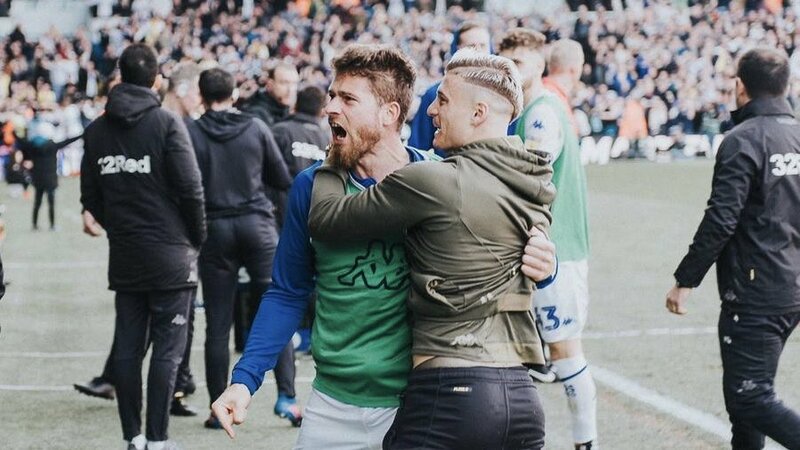 Not that I’ll criticise players otherwise performing far above any level I considered them capable of, but it’s impossible for me as a life-long fan of Leeds United to not feel the crushing disappointment that came with throwing control over our future into the hands of another club. And that was the most significant mental shift, for me. The points on the board were relatively innocuous given the games left to play (and the inherent volatility of the Championship) but the psychology that comes with no longer being totally in control of your own destiny was a very sombre one. Leeds could win all their remaining games and it wouldn’t mean anything if Sheffield didn’t drop points. The second you need to rely on other people is when your position weakens. So as I’m sat in the East stand ahead of the Millwall game – sunshine beating down on an uncharacteristically beautiful late-March day, the ferocity with which the crowd shouted “UPS AND DOWNS” echoed into my brain once more. If West Brom was an up, losing to Sheffield United was a down. Ending the game with Pontus Jansson in goal, capable of using only one leg and facing not only a “must-win” fixture against Millwall after the International break without Kiko Casilla, but likely without Jansson – the downs very much felt quite heavy indeed. Though for Jansson to be ruled fit was a huge boost, I’d still referred to Millwall as a “banana-skin” of a game. The form table suggests Leeds win this and any objective pundit would struggle to not make the same prediction. But we all know that Millwall are an awful football club that will play like they’re fighting for their very lives if it meant harm to our promotion chances. Some clubs don’t care about us and indeed have their own battles to fight, whereas Millwall are always a difficult opposition. Leeds started poorly, too. The zip and intensity we’d stunned West Brom with (and almost dominated the Blades with) was dialled down to 60% and it very quickly looked like “one of those days”. The kind of day where you’re wondering when “UPS AND DOWNS” could just become “DOWNS AND DOWNS”. The pressure of success rests heavy on our shoulders. The expectation of the fan-base, the world class coach, the media spectacle, spygate, it’s created a cauldron of pressure that adds complexity to otherwise ordinary games. Millwall were good for their winning position too. A ball down Leeds’ left wasn’t tracked tightly enough, Harrison had relaxed his closing of the cross thinking the ball was going out of play and the resultant free-header was met with Bailey Peacock-Farrell ineffectually flying across the goal-line trying to take up as much space as possible. But ultimately, not unlike the Bristol Rovers goal in our promotion-winning game from League One, it wasn’t a hard finish and it wasn’t undeserved. Leeds won a penalty down Millwall’s left, as Harrison and Alioski combined and the Macedonian was felled in the box. Though Patrick Bamford looks so low on confidence that he may have just rolled the ball gently and apologetically towards the Millwall keeper, such was the lack of aplomb with which this absolute footballing gift was hit. 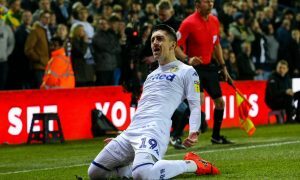 It once again fell to Pablo Hernandez – a man overlooked from team of the season for reasons I simply cannot fathom – to start a move from midfield, spread the ball wide to Ayling and ensure that he’s suitably placed to cap it off by stroking home the cross into the bottom corner of the goal. Elland Road would erupt while Jansson sprinted the pitch waving his arms to the crowd, asking for noise. The same old mistakes appeared again after the break as Leeds fell behind a second time. A lack of concentration and positional sense allowed Millwall total free-reign down Leeds’ right and the resultant last-ditch scrabbling made Liam Cooper drag the opposition down in the box. The penalty was dispatched comfortably with BPF being sent the wrong way. Instead of celebrating with the small number of travelling fans, Ben Marshall elected to stand in-front of the South Stand and goad the Leeds crowd. It wasn’t surprising that this action was met with a number of missiles – not that I endorse such behaviour – but if Leeds are going to be criticised for the reaction, Millwall need to be criticised for inciting it. After all, there are rules against both. The tenacity of this Leeds United side is a thing of wonder though, it must be said. The Aston Villa game is a great example of the side fighting beyond the point where most would give-up to give themselves maximum chance of a result. Harrison (at full stretch) rescued a ball that was going to cross the by-line, knocking it back to Barry Douglas (who was heavily responsible for the second Millwall goal, losing the ball under little pressure high up the pitch). Douglas lifted a beautiful cross into the six-yard-box for Luke Ayling to nod home. Again, the noise was deafening and the body language from the players was merely asking for more noise from the crowd and a renewed belief that a result could come. The rumours had rippled throughout Elland Road that Bristol City were staging their very own comeback against Sheffield United, rescuing a 2-1 game back to 2-2. If Leeds could grab a win and Bristol could hang on, this could be huge. When we look back at this campaign, if Leeds get promoted, the 83rd minute on this particular day will be a key moment. As the chosen few in Leeds capable of getting 4G signal to their phones passed the message to their immediate peers that Bristol had gone 3-2 up, Leeds were doing the very same. Tyler Roberts was probing the Millwall back line and fizzed a low ball across the six-yard box where an inhumanly brilliant Pablo Hernandez was waiting to stab Leeds in-front. Seismologists at the University of Leeds will no doubt be able to point to this particular moment based on how much Elland Road was rocking and roaring. The final whistle would follow shortly with two loud cheers. One for the relief of Leeds United turning this game around. The other for confirmation of Sheffield United’s collapse. A 2-point gap would now emerge between Leeds and Sheffield, once again returning our future back into our own hands. Results like Millwall show that with enough fight, with enough effort, Leeds can escape this damn league. Pablo Hernandez will rightly receive plaudits for doing the thing that truly brilliant players do. They step up when the game needs them. Instead of scoring the 5th goal in a 5-0 victory, they win the game. They drag an unwilling or unable team to victory. Hernandez has had many incredible performances for Leeds but many are suggesting this could be his best – and it’d be hard to disagree. An imperfect and often ugly game, sure, but a really remarkable and important 3 points. Much will be said of Bamford too who looks completely out-of-form and will rightly be replaced by Roofe when fit again. By no-means a write-off and someone who has themselves made important contributions to Leeds’ campaign, but even with a degree of objectivity one could suggest that had Roofe had remained fit, Leeds would have finished many more of the chances that Patrick had sadly missed. Big ones, too, given missed opportunities against Sheffield United. A game that – had Leeds won – would have left us 8 points clear of 3rd with 7 games to play. It’d have been huge – but we can’t dwell on “ifs” and “maybes”. What we can dwell on is “UPS AND DOWNS”. I’ve no idea what to expect against Garry Monk’s points-deducted Birmingham City next weekend and I wouldn’t dare place a bet on whether “up” or “down” is my prevailing mood at 5pm on Saturday, but Leeds have given themselves a platform on which promotion can be won. Hard work will win it. 7 games to go.